Studying musical theatre: theory and practice aims to look at musical theatre from critical theory perspectives, and it does so extremely successfully. Musical theatre is a genre often dismissed for not being ‘serious’ enough, even by those within the music and theatre worlds. This book critiques this popular conception. In fact, the approach which Taylor and Symonds take presents an often unthought-of angle to look at musical theatre. Many often believe that musical theatre is a light form of escapism which never approaches important cultural topics, despite the existence of politically charged musicals with interests in social justice, such as RENT. Even comedic musicals such as The Book of Mormon are easily able to dispel this kind of belief. If one is not able to purchase a ticket for an expensive West End show, one merely has to read this book to dismiss such a stereotype. Published 10 years after Ian Bradley’s You’ve got to have a dream (2004), this book discusses this theatrical genre from a similar point of view, but with a wider scope of topics. Thus, Studying musical theatre is accessible both to musical theatre fans and to those who are interested to see how theories such as feminism can be applied to this popular, yet often misunderstood, cultural form. Beginning with narrative theory, Taylor and Symonds allow the reader to explore different tropes, such as the all-important ‘I Want’ song trope, or the character stereotypes attached to different vocal ranges. This provides grounding for the rest of the theories discussed in the text. From narrative theory it covers orientalism, capitalism, sexuality and politics, with one musical as evidence for each topic. Overall, this makes for an easier read, as the text does not jump around between lots of different musicals in regards to one theory. Further, information boxes with the plot and history of the musical being discussed make the text more accessible to people who do not know the production, and provides a useful contextual background. There are additional information boxes providing clear and concise explanations of the theories being discussed. Additionally, there are more boxes clarifying musical terms such as cadences or leitmotif, making the book accessible to those without formal musical training. It is these aspects which make Studying musical theatre so successful in engaging a wide audience. What is particularly interesting is the exploration of the impact cultural context has on a production. The use of Cabaret as an example is particularly effective in that despite it addressing a specific time in history, it is still able to speak to our prejudices today. Additionally, the historicity of musicals such as Jesus Christ Superstar and Moulin Rouge juxtaposed against contemporary culture is particularly interesting. This is still seen in musical theatre today, such as in the 2015 production of Mozart! das Musical, which contrasts the story of an eighteenth-century man with contemporary musical sounds and costumes. It perhaps would have been significant to note how different productions of the same musical actually change approaches to characters and songs (such as the recent Broadway production of Gigi, which closed the age gap between the title character and Gaston, making it more palatable to a twenty-first century audience). The importance of history as a whole is well articulated in this book, bringing to light topics such as hysteria and its relation to La Traviata, the development of musical theatre through forms and tropes, and its emergence from opera and operetta. Some readers may have found a specific section on the development of the forms useful; they come across easily to the reader, nonetheless. It is not just theories which are addressed. There is a particularly interesting discussion on vocal performance, and the importance of the integration of vocals, emotion, and the score itself. Many musicals today have moved away from the legit voice sound to a belt vocal technique, providing a high intensity impact on the listener. In approaching this side of musical theatre, Taylor and Symonds are able to provide a well-rounded overview of the genre. Furthermore, illustrations are also effectively used, with photos of various productions, set designs and staves. These all help to further bring the text to life, and allow the reader to further use their imagination when engaging with the text. 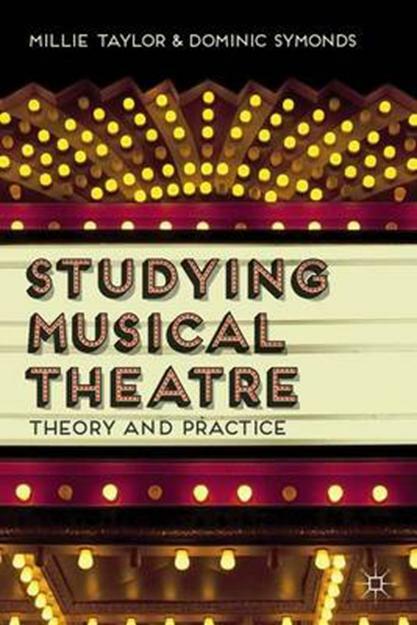 Studying musical theatre aims to ‘explore the musical stage from a broad range of theoretical perspectives’, and the book achieves exactly this, dismissing the light-hearted and fluffy stereotypes which the genre is usually given. This book’s contribution to the theories addressed by the genre is therefore extremely valuable. Lucy Coatman is a student of Theology and vocal scholar of the University of St. Andrews. Her passion and research interest is German musical theatre, and her dissertation shall focus on theological themes in Kunze and Levay’s Elisabeth das Musical. In addition to this, Lucy has performed in leading roles in musicals and operetta such as The Sound of Music, Hairspray and Iolanthe as well as most recently performing with Austrian musical star Oliver Arno in Vienna.